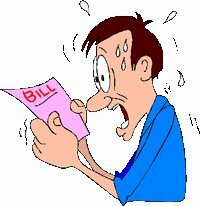 Did you fall out of your chair when you received your property tax bill? Do you think your assessor is wrong? Did you know you CAN do something about it? In Illinois, property taxes are based on the market value of your home. Assessed values are required by law to be based upon the three prior years of actual sales transactions within the jurisdiction. For example, the 2013 assessed value was based upon sales occurring during the 2010, 2011 and 2012 calendar years. Property taxes collected are used locally to fund and support community services such as fire protection, schools, park districts and construction, among others. We all want to contribute our fair share to keep these services, but what if you think they’ve over-assessed your property value? If you want to appeal your DuPage County property taxes, you should start with your local Township Assessor’s office. They will review your information and files and provide you their results. If you still feel you’re tax bill isn’t accurate, you can file an appeal with the DuPage County Board of Review. You will need to provide evidence to support your claim, which should include three (3) or more comparable properties, preferably from the same neighborhood. Once your appeal has been filed, you will have a hearing with the Assessor and County Board of Review. You may be asked questions about your property, as will the assessor. Once the hearing is concluded, the board will make its decision which will be mailed to the property owner after all Board of Review action is completed for the tax year. If you still think the assessment is inaccurate, you can appeal to the Illinois Property Tax Appeal Board or the Appellate/Circuit Court. Are you interested in how your township compares to others? 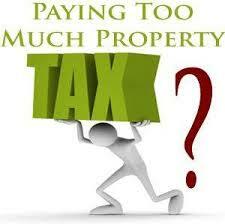 You can view DuPage County property tax rates for all the individual townships here. Can an appeal ever result in higher taxes? Yes, while not common, it can happen. That is shy it is important to ensure that your home is truly being assessed at an above market value before appealing.